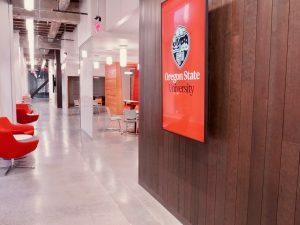 Oregon State University now has over 500 hybrid (“blended”) courses including the Ecampus hybrid degree and certificate programs offered through the new Portland Center. What do OSU faculty say about blended learning? Since 2012, participants in the Hybrid Faculty Learning Community have been blogging about their approaches to blended course design and teaching. The resulting 200+ posts in the Hybrid Faculty Blog are a rich compendium of reflections on hybrid teaching and learning. 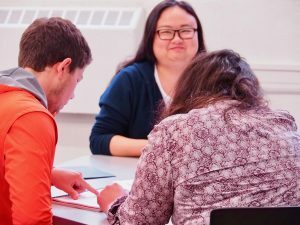 As they design hybrid courses, faculty from across OSU describe how they come to terms with a course format that has great potential to successfully engage today’s students, but that can be challenging to do well, especially the first time. Instructors celebrate the possibilities of a course mode that combines “the best of both worlds” of online and face-to-face teaching and learning. 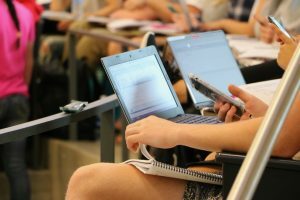 Here are selections from their writing about integration of online and face-to-face learning, flipped teaching and student-to-student interaction. Want to find out more about hybrid teaching and learning? Check out the resources on the OSU Hybrid Learning webpage and review the effective hybrid teaching practices that OSU hybrid faculty have identified. Thinking of designing a hybrid course? Talk to an Ecampus instructional designer and learn how to use a blended learning mix map.